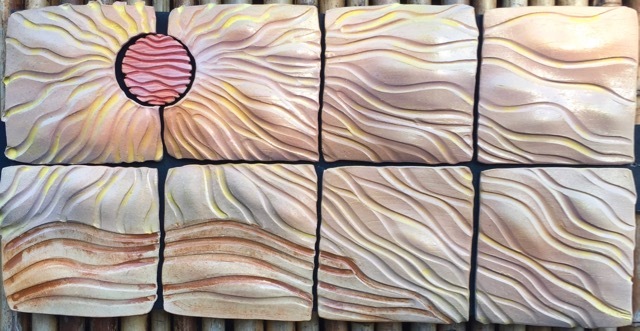 Measuring 12"h x 24"w Sun Waves has movement and flow while maintaining a sense of quiet. This wall sculpture has been sold, but let Brenda create one 'just for you'. She can design the wall sculpture any size and create it in the color palette of your choosing. SOLD.